Everything! He's one of my favorites! I'll listen to most any book he Narrates. I probably have seen movies like it, or played a video game. This is a nice Lovecraftian type story. 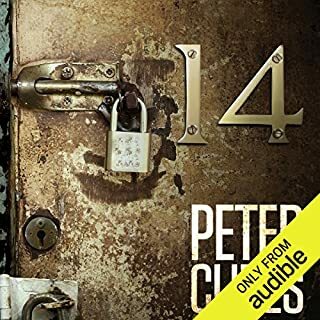 Narrated very well, Ray Porter is really one of my favorites! And he is why I listened to this mostly. Anyway its a pretty intriguing mystery at first and the ending is was just OK. It doesn't really surprise you in any parts as it's kinda predictable but the characters area really good and you do develop a liking for them all. A starship hurtles through the emptiness of space. Its destination — unknown. Its purpose — a mystery. Now, one man wakes up. Ripped from a dream of a new home — a new planet and the woman he was meant to love in his arms — he finds himself wet, naked, and freezing to death. The dark halls are full of monsters but trusting other survivors he meets might be the greater danger. I was mostly looking for a scifi horror which is nearly impossible to find since it doesn't have it's own genre so you have to scum through books lists and recommendations. This one was not scary at all, nor a very good sci fi. Story was kinda like the movie Pandorum without the menace and atmosphere. It's rather confusing is many parts and understanding the goals of the characters was difficult and nobody gets really fleshed out during the story. Performing deeds of online valor is the last thing on Oleg's mind, though. Neither does he care about any ancient lore. He's never trusted adventure, anyway. Mirror World is no place for the likes of him. Still, he's here to stay - at the demand of Reflex Bank, which has granted him a loan for his daughter's hospital treatment. Which is the only reason he's joined the ranks of the defenders of the Maragar Citadel. This is one of the first LitRPG series I got into and its still one of my favorite. 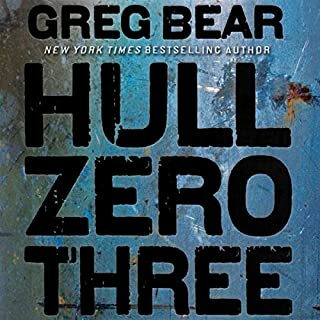 Its got an excellent narrator and the story really pulls you in and has you caring about the character. I always look forward to a new book in the series and will buy them all. 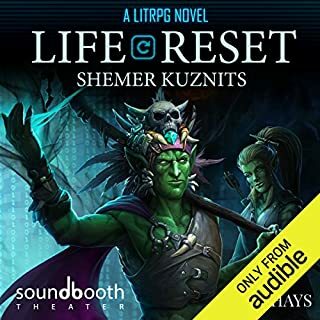 Where does Life Reset: A LitRPG Novel rank among all the audiobooks you’ve listened to so far? 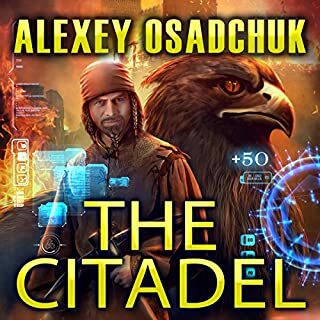 This is a very long and detailed LitRPG story. Everything is described so well and you really understand the mechanics of the gameworld and really feel like you're playing along with the main character. The narrator is the best for this kinda story and really does excellent voices with fx on some of them too. The story is over 24 hrs, which is 2 or 3 times the size of most audio books. None of it seems filler either. It's never gotten dull and I really hope this is an ongoing series. I think this is a Brilliant new literary genre and this one really stands out as essential within that genre.